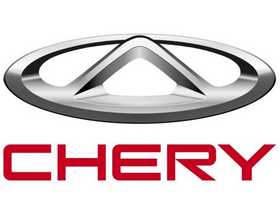 I think we should keep it simple and consistent with the Chinese brands and use one brand for all (not Qirui or Changcheng instead of Chery and Great Wall). They are the same brands in and out of China. I think we should only use the literal romanized Chinese brand/model name only when there is no known international name for the respective vehicle (example: http://www.imcdb.org/vehicles_make-Zhonghua_model-Zidantou.html ) - Note this is another Zhonghua and not Brilliance. If the name is different for local market than for export, why not use the local name when it is used in local market? There is the same thing for a lot of Japanese cars. In case the name really is different from the international market (if you mean model names) we can use the local name like we do on many cars already. Changcheng Qiche (Great Wall Motor). The logo uses both names. Someone else has comments for or against? Not really sure what to say either way here. But noted that we treat Volga and Wolga as separate makes to reflect different alphabet systems. If we go by that system in China we should have Mazida instead of Mazda , Bieke instead of Buick, Dazhong instead of Volkswagen, Sikeda instead of Skoda, etc, because that's what their Pinyin badges transliterate to. I'm not fond of the "Wolga" thing anyway, but it was really used that way, isn't it? Unlike the Chinese ones which are just a transliteration of a transliteration. It is not really supposed to be "Mazida": the ideaograms chosen are supposed to represent "Mazda", using the closest available. They don't use the "Mazida" version in latin letters, just either the original one or the ideogram version.